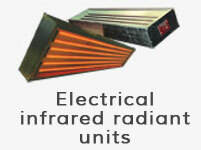 Thanks to its high-power density, this infrared radiant unit is highly energy efficient. 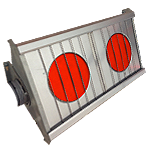 This means that it is particularly well suited to drying large aluminium or metal parts. 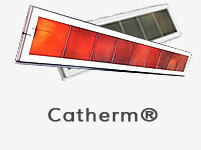 In addition to the advantages unique to Sunkiss Matherm Thermoreactors®, it has an ‘air recycling system’ option that makes it possible to reduce VOCs and remove air pollution. 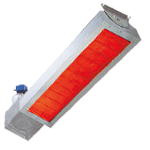 Its drying or curing temperature ranges from 70°C to 300°C. 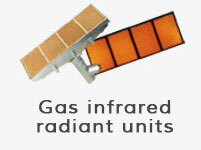 Electrical wiring with tolerance of : 300°C 3 m.
– Gas supply by starter and main solenoid valves. 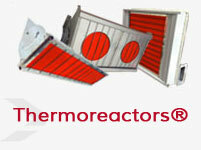 > 0% to 100% air recycling with temperature control by Thermoreactors®. 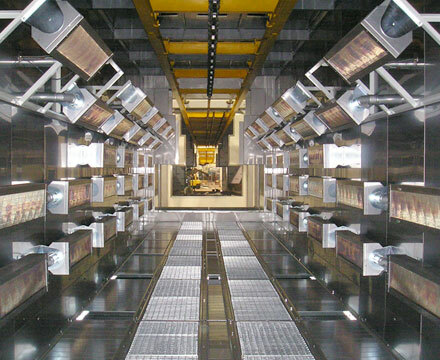 > Two push-pull air supply fans: 6400 m3/h – 5.5 kW. > Motorised Belimo system and connecting rods. > Must be steered by a Pt100 sensor and a regulator. 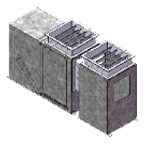 pplications for industrial drying ovens of the Air recycling range. 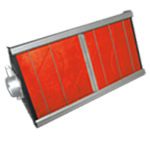 All large parts: carriages, agricultural machinery, plant, containers.